eHobbyAsia has a lot of new items in stock and if you need anything cheaper then they have stock clearance sale. 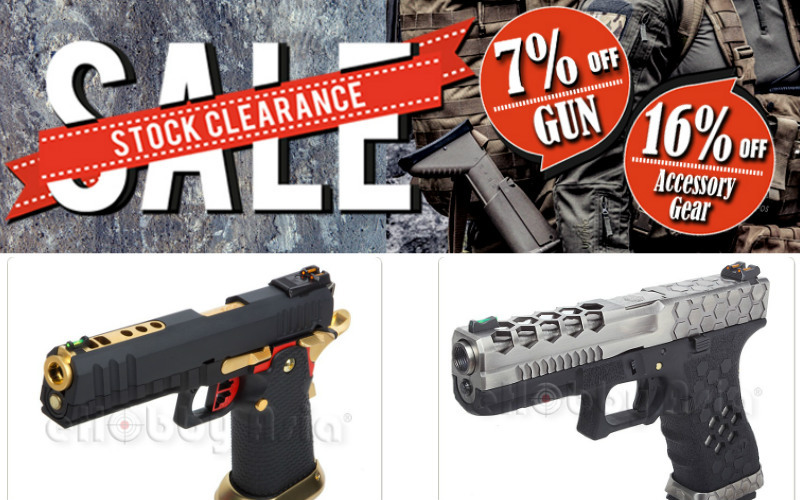 So all guns are 7% off and gear is 16% off. Also a lot of Armorer Works are popping up at their site. So if you are looking for a lovely GBB to stand out this is the store to go to. Military1st Pentagon Philon Backpack and more special offers.